The structure, style and superb quality of Warre’s Ports are defined by its vineyards. The mainstay of the company’s Vintage and other premium Ports is provided by its three great estates; Quinta da Cavadinha (46 hectares), Quinta do Retiro Antigo (40 ha) and Quinta da Telhada (35 ha). The latter estate was acquired by Warre’s in 2006 and this river-side vineyard now makes a significant contribution to the company’s premium range of wines. Further to these, Warre’s is able to draw on the production of a collection of other vineyards, long associated with Warre’s that are owned privately by members of the Symington family. These are Quinta do Alvito (35 ha) and Quinta das Netas (5 ha). Quinta da Cavadinha’s new state-of-the-art winery was inaugurated for the 2003 harvest. Equipped with six robotic lagares, it is now one of the most advanced, small specialist wineries in the Upper Douro. Cavadinha produces elegant wines with lifted and fresh aromas. 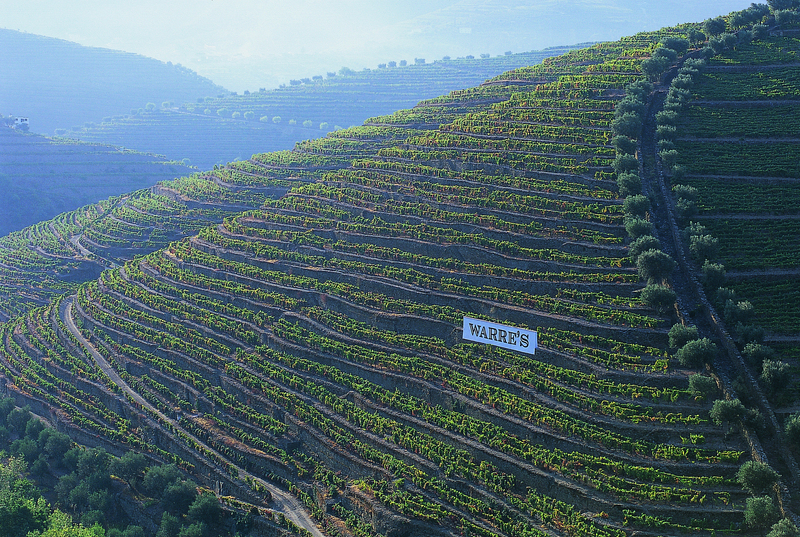 Warre’s is a leader in viticultural research and development in the Douro Region - Warre’s experimental vineyard at Cavadinha is dedicated solely to research into clonal selection and allows direct comparison, under identical viticultural conditions, using different grape varieties, rootstocks and the interaction between them. Quinta do Retiro Antigo is one of the finest vineyards in the Rio Torto valley. The old vineyard is a historical landmark with spectacular 18th century stone terraces, most of which have just one row of vines on them. These ancient vines produce superb and concentrated wines that perfectly complement Cavadinha’s Ports. Quinta da Telhada is one of the most remote vineyards in the Douro Valley, situated well east of the famous Quinta do Vesuvio and only 25 kilometers from the Spanish border on an isolated stretch of the Douro River. An important feature of this property is the very large proportion of the low yielding Touriga Nacional vines which account for 47% of the total. The Touriga Nacional is widely regarded as the finest Port grape and thrives in the hot dry conditions of this area. Although very difficult to grow and very low-yielding, the Touriga Nacional is fundamentally important for Warre’s classic Vintage Ports as well as for the Bottle Matured Late Bottled Vintage and the Warrior Reserve. Quinta do Alvito, with a 14.7 hectare vineyard and Quinta das Netas (14.5 hectares of vineyard) form a neighbouring group of privately owned vineyards. These contribute over 170,000 kgs of grapes that make an average of 280 pipes of premium quality wine for Warre’s fine range of Ports.